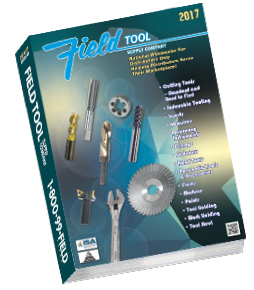 Field Tool Supply Company is a leading web seller of industrial supplies such as cutting tools, abrasives, hand tools, measuring instruments, fluids, markers, paint, tool steel and holders. No minimum order, same day shipping. Click here to download full catalog with current prices in PDF format (large file, print quality). Right click "Save Target As" to download files for quicker access. Use bookmarks tab at the top left for quick-links to each catalog section (Full catalog only). Use the Quick Index for links to each catalog section and links to new items.